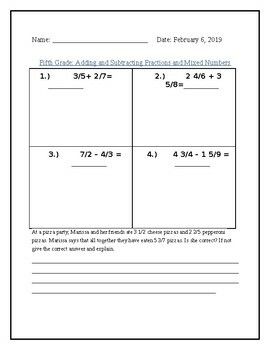 5th grade resource. Adding and Subtracting Fractions and Mixed Numbers. 5 question Quiz/Assessment.